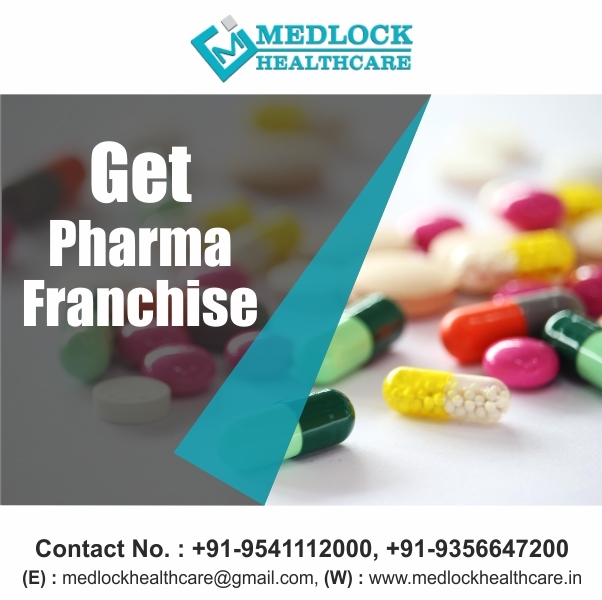 Pharma Franchise for Antiviral Medicine Range- We, Medlock Healthcare is the leading ISO certified pharma franchise company, established in Chandigarh. We are on the mission of proving a better well being to the viral infected patients in India. Therefore we keep our complete focus on formulating the flawless quality antiviral medication. Our this initiative not only makes us medication popular in the marketplace but also makes us enlist in the companies list of leading Pharma Franchise for Antiviral Medicine Range in India. Medlock Healthcare is a place where everyone works with the only one motive to maintain the trust and believe of our valued partners, associates, and patients. In this our brilliant and expert team of medical professional always support us. They keep their complete focus on the needs, quality and demand of the market for antiviral drugs and work accordingly to it. Their massive contribution helps us to keep our name in the top Pharma Franchise for Antiviral Medicine Range. We, Medlock Healthcare is the leading manufacturer and supplier for antiviral medicine in India. Our purpose is to deliver our medication in every state of India. Therefore we are providing the opportunity of PCD Pharma Franchise for Antiviral Medicine Range in India. This particular medication field has a very bright scope in India. So to know more regarding the franchise opportunities or any related queries for antiviral. You can contact us at +91-9541112000, 9356647200 or reach to us through email also at medlockhealthcare@gmail.com. Medlock Healthcare always welcomes you. Increasing viral infection epidemics such as HIV (Human Immunodeficiency Virus), Seasonal influenza, Molluscum contagiosum, Varicella-zoster viral infection, Herpes simplex virus -1, Rotavirus, influenza, and respiratory syncytial virus have massively increased the demand for antiviral medicine in the marketplace of India. The international market size of antiviral drugs was estimated at USD 41.1 billion in 2015 and is estimated to reach USD 69.2 billion by 2025, increasing by CAGR by 4.0%. Therefore the demand for antiviral will always remain at the peak. So the scope for Pharma Franchise for Antiviral Medicine Range will prove good for the pharma franchise business. Antivirals work by reducing the reproductive ability of the virus. Antivirals are medicines used to prevent and treat virus- related infections. Flu antivirals work against flu caused by viruses of influenza A and influenza B. A viral infection occurs when the virus infects the cells of your body, uses the cell to reproduce itself and then leaves the cell to infect more cells in your body, increasing the number of viruses in your body. Ability to supply 100% hygiene products. Separate R&D department in our infrasturture. For the best quality medicine formulation,k we use the latest and advanced machinery with innovative techniques. At Medlock Healthcare manufacturing plant the complete atmosphere is sterilized and safe for the medication development. We follow the norms and procedures mentioned as per the International medical organization, so you get the best quality antiviral drugs. In our packing department, we use the best quality packing material which keeps the medicines germs free and increases the shelf life of the medicine. We cover hundreds of medicines, which will give you good results. The range is available at most genuine rates and you’ll do a good job. Medlock Healthcare offers a range of dosage systems covering antiviral medicines such as Tablets, Capsules, Soft Gels, Syrups, Sprays etc and many more at the most reasonable and affordable price range. Our company invites professionals and fresh pharmaceutical professionals with good pharmaceutical marketing and sales experience. You’ll get good business here, which is our company’s promise. By being our partner, you will benefit in many ways. We are covering all the states of India Himachal Pradesh, Jammu & Kashmir, Uttarakhand, Haryana, Punjab, Delhi, Gujarat, Tamil Nadu, West Bengal, Kerala, Sikkim, Telangana, Nagaland. Our logistics team are the most reliable ones. We promise to deliver the antiviral medications on before the date mention to you along with many other beneficial rewards like Monopoly rights, promotional tools, and medical kits etc. which helps you to grow your pharma franchise business well.